I’m excited to announce my senior team who will join me on 1/8/19 in SOS office: Deputy SOS Jenny Flanagan, Senior Advisor Ben Schler, Director of Government & Public Affairs Shad Murib, and Communications Director Serena Woods! 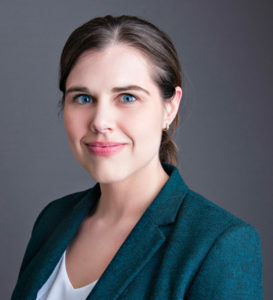 Colorado’s new Deputy Secretary of State Jenny Flanagan is a longtime executive staffer at the national voting-rights advocacy group Common Cause, a group that played a large role in the election reforms passed in Colorado in 2013 that have boosted turnout in this state to second in the nation in 2018. Shad Murib comes to the Secretary of State’s office by way of the Senate Democratic staff, while Serena Woods is a veteran of numerous campaigns and nonprofits working at the state capitol. Ben Schler is the one high-level staffer in this announced group staying on from the previous administration to provide continuing expertise. Although his four years in office were not free of controversy from Jon Keyser’s fraudulent petitions to a still-pending ethics matter over personal purchases on his office’s discretionary account, it should be acknowledged that Griswold is set to inherit a functional Secretary of State’s office from outgoing Republican Wayne Williams. Although Williams joined in local Republicans’ now-proven laughable trashing of House Bill 13-1303, the legislation responsible for making Colorado’s ballot one of the nation’s most accessible, when it came to the law’s implementation once elected he shares some credit for making our mail ballot/same day registration elections a national model. Although Republicans proved they could win elections too with mail ballots in 2014, there were more than a few in Williams’ own party who just plain don’t want high turnout elections. With that said, Williams proved himself to be a partisan Republican operator in clutch moments, like Walker Stapleton’s own petition fraud scandal this year, that remind us all again how inherently conflicted this office is–and how important it is for the Secretary of State to maintain high ethical standards. Williams wasn’t quite the brazen partisan his predecessor Scott “Honey Badger” Gessler was, but he was ready to run cover for Republicans when it mattered most. Is the new Secretary of State also a partisan elected official? Of course. The difference is, maximizing voter turnout and accountability for election finance shenanigans pose no political conflict of interest for Colorado’s new Democratic Secretary of State. So yes, it’s going to be different now, and we’re excited to see how much. Colorado Sen. Cory Gardner’s annual Christmas party will take place at the historic Brown Palace Hotel in Denver this evening. The annual event is officially hosted by Project West PAC, a leadership political action committee chaired by Gardner. The gathering routinely attracts many of the most prominent Republicans in the state. Last year’s attendees included Secretary of State Wayne Williams, Attorney General Cynthia Coffman, GOP party chair Jeff Hays, gubernatorial hopeful Doug Robinson and many others. This year, the PAC emailed invitations to numerous local party activists, some of whom weren’t sure if the email was legitimate. 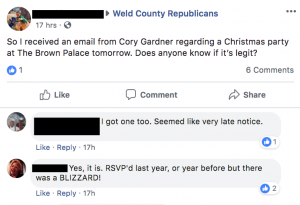 Gardner himself was unable to attend last year’s party; he was stuck in D.C. helping to ensure that President Trumps massive tax cut bill passed the Senate. Secretary of State Wayne Williams filled in as host, while Gardner delivered a remote video message to his guests. The race for Governor was called in favor of Democrat Jared Polis early on Election Night, but Polis’ margin of victory over Republican Walker Stapleton has only risen as more ballots are counted. Also worth noting: Stapleton received the fewest total votes of any of the four major statewide Republican candidates. A double-digit Polis win is now a real possibility. These vote totals should also scare the crap out of Sen. Cory Gardner (R-Yuma), who is up for re-election in 2020. Gardner defeated Democrat Mark Udall by less than two points in 2014 with a total vote count of 965,974. In 2018, the Republican candidate for Governor received nearly 100,000 more votes than Gardner’s 2014 total…and will still end up losing to a Democrat by more than 10 points. 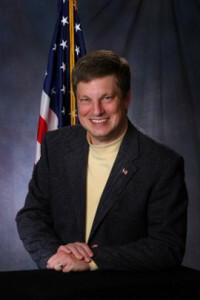 Secretary of State Wayne Williams (R). The defense being offered in this case by Williams’ staff is kind of bizarre. Rather than disputing the impropriety of this obviously inappropriate use of taxpayer dollars, Williams is simply asserting that a now-defunct liberal group requested information about this spending and didn’t sound the alarm. We have no idea what may have prompted that decision, but it doesn’t detract from the seriousness of the allegation in the present at all. This is what you tell fellow political water-cooler types when you’ve stepped into scandal, not voters. To not understand this is a cardinal PR mistake. When compared to the similar ethics case against Williams’ predecessor Scott Gessler, who was found to have misused the same office discretionary account to pay for travel to partisan political events, Williams’ use of these funds to buy expensive clothing for his personal use is of course much worse. Gessler’s ethics troubles played a significant role in his loss of the GOP gubernatorial primary in 2014, and Gessler’s unsuccessful legal actions to reverse the Commission’s decision only make Williams’ misuse of discretionary funds stand out all the more. It’s very unlikely based on the facts as reported that the IEC will refuse this complaint when it comes up for review on November 19th. That means Williams either opens his second term under a cloud, or he loses next Tuesday and answers to the IEC as a private citizen. It’s difficult to predict the outcome of this downballot race, but we’re pretty sure that voters who hear the story of the $700 boots, $375 jeans, and $500 hat they paid for are going to have a hard time shading Williams’ bubble. If Williams does lose, this extremely stupid thing that nobody made him do will factor heavily. 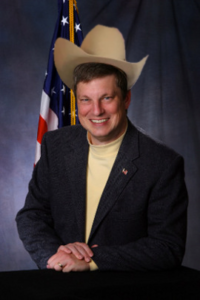 After the Denver Post’s scandalous report last week detailing big personal purchases by Colorado Secretary of State Wayne Williams on his office discretionary account, including a $700 pair of boots and a $475 cowboy hat, we’ve been waiting for Democrats to jump on what should in any ordinary election year be a major problem. Williams’ predecessor Scott Gessler, after all, lost his bid for governor after getting busted spending less money on an arguably more defensible activity–travel expenses that wrongly included partisan political events. This year, Williams’ improper discretionary account spending just one downballot data point in a wave of discontent. But to whatever extent this story penetrates the noise, it’s extremely damaging to Williams in a race considered to be very close. We don’t know anything about ad buys for this well-produced spot, if any, but if we were Williams’ Democratic opponent Jena Griswold we’d foot the bill ourselves. Noble Energy: Screw The Law! Wayne Williams: Cool By Me! 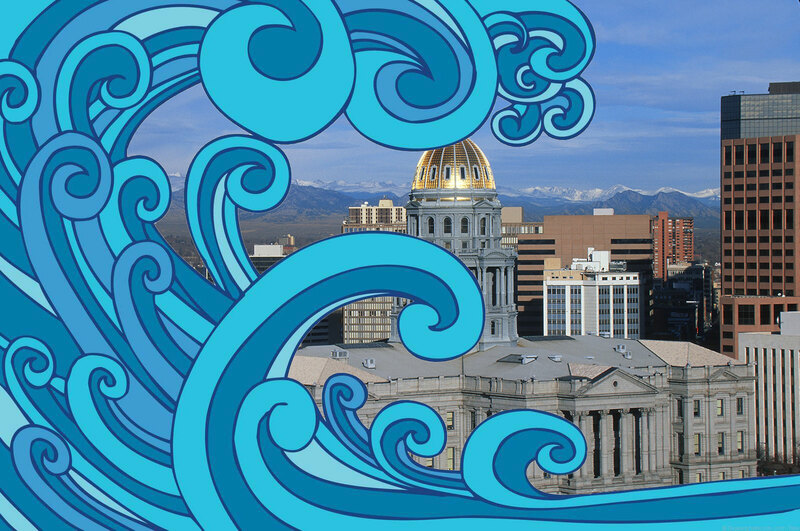 In a last-ditch attempt to defeat one of the most far-reaching environmental measures on the 2018 ballot, a fossil-fuel giant is blanketing Colorado television with election-focused political ads that it now claims are outside the purview of all state campaign-finance laws. The maneuver — which pioneers a novel way for corporations to circumvent disclosure statutes and inject money directly into elections — has been blessed by the office of Colorado Secretary of State Wayne Williams, who has led a Republican political group bankrolled by the same fossil-fuel corporation that is airing the ads. In short, the company is asserting that it is not obligated to disclose its spending on these ads, even though they are explicitly advocating a no vote on a statewide ballot measure. Needless to say, this violates the spirit of Colorado’s campaign finance disclosure law in a particularly egregious manner–and if this precedent is allowed to stand it would lead to widespread disclosure-free corporate spending on ballot measures. After all, why would anyone go through the trouble of setting up a committee with disclosure requirements when a corporation can run the same ad without any disclosure? Obviously if this loophole really exists in the law, it needs to be closed first thing in January when the legislature reconvenes. But we have to think that there is some action that could be taken to stop this kind of blatant end-run around disclosure by corporations–or in the absence of that, a Secretary of State willing to at least point out that this what Noble Energy is doing here is a problem. Or, maybe not. “This type of activity is likely legal,” says Lynn Bartels, communications director for the Colorado Secretary of State. Williams has served as an executive committee member of the Republican Secretaries of State Committee, whose parent organization has received $500,000 from Noble Energy since 2016, according to IRS filings. [Pols emphasis] During Williams’ 2018 reelection bid, that parent group, the Republican State Leadership Committee, has funneled $500,000 into a Colorado group whose mission is “to support Republican candidates for state house, state senate and statewide office,” according to state records. Because just like George Brauchler’s reluctance to go after opioid manufacturers given the industry’s lavish support for the Republican Attorney General’s Association (RAGA), Noble Energy knows exactly who to pay off to get away with these ads. In Colorado, that’s Secretary of State Wayne Williams. The moral of the story? Sometimes the fox guarding the henhouse doesn’t eat the chickens himself. But as much harm can be done just by leaving the door open for the other foxes. The Denver Post’s Ben Botkin breaks news today that could spell big trouble for incumbent Republican Secretary of State Wayne Williams, who is facing an unexpectedly stout challenge from Democratic election lawyer Jena Griswold. Readers will recall a major scandal that erupted in the latter part of former SoS Scott Gessler’s single term, in which Gessler was found at length by the state’s Independent Ethics Commission to have improperly spent funds from an office account on travel to partisan political events. The scandal, among other things, helped scuttle Gessler’s 2014 gubernatorial aspirations. As was thoroughly explored during the ethics investigation into Gessler’s misuse of the same discretionary account, officials do have quite a bit of leeway when it comes to how these funds are spent. The law governing these discretionary accounts says only that the funds must be used “in pursuance of official business.” Gessler ran into trouble for using these funds to help cover the costs of partisan political activities. For Wayne Williams, it’s a more straightforward problem. He bought himself a pair of $700 boots and a $500 cowboy hat. And yes, Williams through his deputy Suzanne Staiert claims that he somehow bought these items “in pursuance of official business” as the law requires. Apparently the $700 boots were mission-critical for a cybersecurity conference attended. And really, folks, what self-respecting Colorado Republican is going to show up to Larry Mizel’s annual bow-and-scrape party at the Colorado State Fair without a $500 cowboy hat?! Back in reality, of course, this is very bad news for Wayne Williams at what could be the worst possible moment. This is such a stupid and unnecessary mistake to make, however, that it’s very hard to be sympathetic. Where Gessler at least had a case to make that he was on some official business during the travel he was busted by the IEC for, nobody is going to give Williams a pass for buying $700 boots and a $500 hat with taxpayer dollars under any circumstances. Not the IEC, and definitely not any voter who hears about this. $700 is a lot for boots, but they could end up costing Wayne Williams far more in the end. “Honey Badger Lite”–Will Wayne Williams Get Waved Out? Williams is not the first statewide elected official to moonlight. State Treasurer Walker Stapleton, this year’s Republican nominee for governor, took office in 2011 and continued to work as a consultant for Sonoma West, a real estate company that Securities and Exchange Commission documents show he previously ran. Also in 2011, Williams’s predecessor, Scott Gessler, said he planned to continue doing side work for the Hackstaff Law Group after he took office, but Gessler ultimately scrapped the idea when the firm said it had reservations about clients’ privacy. It also posed a potential minefield of conflicts of interest since the firm also was known for its work in election and campaign law, precisely the area Gessler was elected to oversee. Also, during that same period, then-state Attorney General John Suthers taught two university classes, boosting his income by about $20,000 to $30,000 a year. During a Sept. 8 debate before Club 20, the Western Slope civic group in Grand Junction, Williams told his Democratic challenger, Jena Griswold, that he has continued to practice employment law on the side to augment his $68,500 state salary. “Do you believe that Coloradans deserve a full-time secretary of state?” Griswold asked him. Republican Secretary of State Wayne Williams’ moonlighting as a private attorney representing clients before other state agencies and state courts is strikingly similar to the attempt by former Secretary of State Scott Gessler to work on the side at his former election law firm, a firm that specialized in election law. Gessler’s moonlighting bid ended quietly after GOP Attorney General John Suthers “consulted” with Gessler on the matter, but Williams has always been better at staying under the critical radar than his immediate predecessor. All the same, this story is a reminder that while Williams has avoided some of the political pitfalls that in the end doomed Gessler’s political career, his term in office hasn’t been free of lowlights. 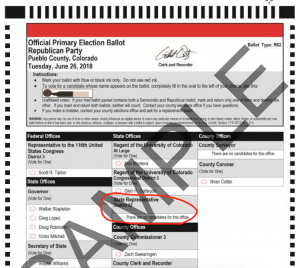 Williams ran for office in opposition to Colorado’s landmark mail ballot election system, even going on FOX News to warn that “union bosses” would use mail ballots to intimidate voters. Today he’s an evangelist for the law he once opposed. But by far the worst moment in Williams term came in mid-2017, when the Trump administration convened an ill-fated commission to investigate Donald Trump’s baseless claims of widespread voter fraud in the 2016 elections. While most Secretaries of State around the country rebuffed this commission’s request for voter records, even in states where like in Colorado most of the record is publicly available data, Williams’ office sent a out a cheery release in response to the request about how Colorado was cooperating like they would with anybody. This severe misreading of the politics of the situation resulted in a disproportionate backlash, and Williams essentially taking the fall in Colorado for this extremely unpopular and now defunct federal commission. With all of this in mind, the question becomes whether Williams’ challenger Jena Griswold, who started slow but has built a formidable campaign with good organization and cash flow, can make Williams’ lower-key troubles stick. Democrats have had notoriously bad luck with sub-gubernatorial statewide elected offices in recent years, but as we say with just about every race, conventional wisdom is scrambled this year. Democrats could sweep the downballot offices, or win none of them. But the SoS race is definitely in play. Democrat Jena Griswold avoided a primary contest last week, and now the secretary of state candidate has found a use for most of the money she saved: a big October TV ad buy that ensures voters will see plenty of her in the election’s final weeks. Griswold on Monday announced a $260,000 reservation of fall airtime on broadcast TV channels. The Louisville attorney is challenging Secretary of State Wayne Williams, an El Paso County Republican elected in 2014. The large preorder secures airtime at lower rates, and Griswold is the first candidate running for statewide office to commit such a large sum for TV advertising ahead of the Nov. 6 general election. The Republican Attorneys General Association rolled out an ad in support of Republican candidate George Brauchler last week on cable TV channels, but the buy was much smaller. We were initially skeptical of Jena Griswold’s campaign for secretary of state, but she has more than answered our skepticism with a professional early operation and by all accounts a strong work ethic. Having avoided the expense of competing in a primary, Griswold heads into the general election with the resources to purchase all-important October air time before those spots become prohibitively expensive. Democrats have been searching for a winning combination in the downticket constitutional offices for years, a consistent trouble spot despite their overall landmark success in winning elections here since 2004. Incumbent Republican Wayne Williams has tried to present himself as less controversial than his overtly partisan predecessor Scott “Honey Badger” Gessler, but has nonetheless left himself vulnerable to hard shots from Griswold that could resonate with voters in an anti-Trump wave year. And now, you can bet on seeing a lot of Jena Griswold on TV when you get your ballot in the mail. Will San Luis Valley Republicans Have a Statehouse Candidate on the November Ballot? As primary ballots start arriving in mailboxes across Colorado next week, some Republican voters in the San Luis Valley are going to be disappointed. There is no GOP candidate on the ballot to challenge the incumbent House District 62 Representative, Democrat Don Valdez of La Jara. Southern Colorado Republicans appear to have lost an opportunity to field a candidate for a potentially winnable district, one that voted narrowly for President Trump two years ago. Even though his name isn’t on the primary ballot, Alamosa resident Scott Honeycutt says he’s the candidate and believes he will be on the ballot in November. In fact he says he received such assurance from the Colorado Secretary of State’s office. 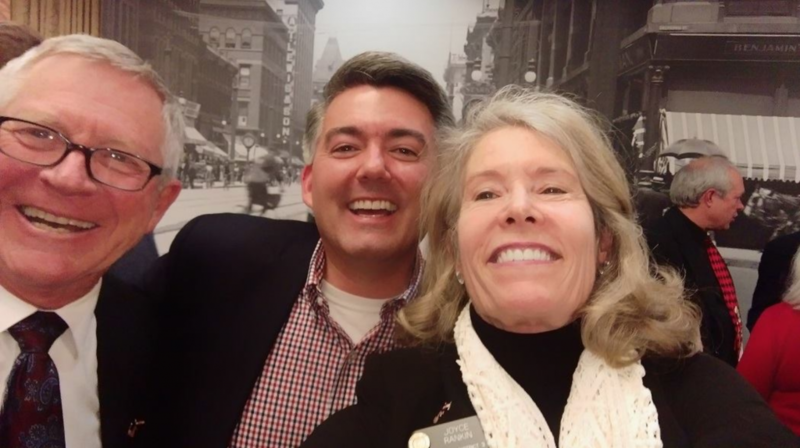 On April 13, the eve of Colorado’s state party assemblies, local party members, including State Sen. Larry Crowder (R-Alamosa) and former Secretary of State Gigi Dennis met at the Hyatt Denver Tech Center for Republican multi-county district assembly meeting. with the goal of nominating one or more candidates for the primary. As reported by Colorado Politics that night, Scott Honeycutt and Zachary Deherrera were both nominated. Deherrera later dropped out and endorsed Honeycutt. However, according to party activist and former House District 62 committee chair Richard Drake, the meeting took a long time to get organized and by the time it ended, they couldn’t find anyone from the Secretary of State’s office to accept Honeycutt’s candidate paperwork. Drake says another committee member said he’d take the paperwork home to scan and email it the next week, but he had trouble scanning the forms and said he mailed them instead. But the paper candidate forms either never made it to the SOS office or didn’t arrive in time, and as a result Honeycutt isn’t listed as candidate on the primary ballot. Did Wayne Williams Help Cover Up Stapleton Petition Fraud? Stapleton spokesman Michael Fortney, whose firm also consults for Secretary of State Wayne Williams’ re-election campaign, [Pols emphasis] said in a statement that he takes the claim seriously but he suggested the motivation for the complaint was political. The secretary of state’s office said Robinson could take the matter to the local district attorney. His campaign said it wants the secretary of state’s investigation to continue. Folks, do you suppose the fact that Stapleton and Williams share the same campaign consultants as they both run for re-election in 2018 might imply a closer connection between them than Williams’ spokesperson would like you to believe? If it seems to you like Williams’ office doth protest too much, that’s because it does. These are not our words. An interview from last week of GOP gubernatorial candidate Doug “Mitt Romney’s Nephew” Robinson by April Zesbaugh of KOA-AM news in Denver is getting a lot of belated attention today, after somebody along the line realized the importance of what was said. Turning to the subject of GOP gubernatorial frontrunner Walker Stapleton’s ballot petitions, which Stapleton withdrew after they were approved by fellow Republican Secretary of State Wayne Williams, Robinson makes what seems to be a startling admission. ZESBAUGH: Let’s talk about the weird balloting process this year — good people getting kicked off the ballot, because of signatures and how they were gathered. How concerned were you just a few weeks ago, when you almost weren’t going to be on the ballot because of petitions in one district — I think — we’re short by 22 signatures. ROBINSON: Yeah, so, uh, this was a new experience for me. But we felt good about it from the beginning. You know, the facts were — basically, we accidentally discovered that Walker Stapleton’s team was not gathering the right way, and committing fraud in that process. We, uh — Walker turned in his petitions, anyways. We turned ours in. The Secretary of State approved Walker’s signatures. Walker admitted that some of his were fraudulently collected. Secretary of State said that we were barely short, as as you said. We demonstrated that that was not the case. And the Secretary of State said that if we would agree not to pursue the Walker signatures, they would go with us in front of a judge and we’d be okay. [Pols emphasis] We agreed. We went in front of the judge. It was a 10 minute conversation. We were on the ballot. So, this whole thing has been kind of a crazy process. But that’s what happened. Those are the facts. The timeline leading up to this situation is what’s critical: Stapleton’s petitions were “validated” by the Secretary of State on April 6, even though Robinson’s campaign was raising concerns about the legitimacy of those petitions–concerns that turned out to be dead-on accurate–in late March. It was days after Williams’ certification of Stapleton’s petitions, April 10, when Stapleton appeared at a press conference to announce that some of his signatures were collected fraudulently and that he would seek a spot on the ballot via the state GOP assembly. And then Robinson’s campaign, which correctly identified the petition fraud that Williams’ office once again missed, was ruled by the same Secretary of State to be insufficient by 22 signatures. When considered against the backdrop of an obviously flawed process to validate Stapleton’s fraudulent petitions, the punctiliousness showed by Williams against Robinson is deeply questionable. And that’s before Williams made a deal with Robinson to keep it all under wraps. Obviously to a neophyte candidate like Robinson, confronted with a Byzantine process controlled by a partisan official that just tossed him off the ballot, a deal by that same official to “go with us in front of a judge” and fix everything up would sound pretty good! All that was necessary was to “agree not to pursue the Walker signatures” and everything would turn out just fine. Especially for Walker Stapleton and Wayne Williams, the one who submitted fraudulent petitions and the one who “validated” them. If Robinson’s story is accurate, this appears to be a Republican secretary of state using his influence over the election process to cover up the favored Republican candidate’s petition fraud–and in the most charitable analysis, Williams’ own incompetence. And that, gentle reader, would be a very big scandal indeed. Denver District Attorney Beth McCann’s office has dropped its grand jury investigation into how Colorado Secretary of State Wayne Williams handled campaign finance complaints upon reviewing more information in the case. …The grand jury probe stemmed from allegations by Arnold, who operates under the name Campaign Integrity Watchdog, that Williams and his office failed to pursue the collection of a $9,650 judgment against a Colorado Springs political committee. The committee had failed to register with the state and failed to file financial disclosure reports. In the end the heart of this complaint, that Secretary of State Williams showed favoritism to political allies by failing to collect assessed fines and intervening in cases to reduce or even eliminate penalties, fell under the discretion by law his office has in these cases. Like we said about the story originally, the actions of Colorado’s partisan secretaries of state in “oversight” of elections in the state could be considered inherently conflicted, and have long generated controversy. Before Williams was in office, GOP Secretary of State Scott Gessler actually agreed to hold a dunk tank fundraiser to help pay off fines owed by the Larimer County GOP. It was a bad enough idea optically that he Gessler ditched the dunk tank, but under the law it was also permissible. Republican political watchdog and avenger Matt Arnold, who won big last year when he busted a group run by Bob Beauprez to attack fellow Republicans in primaries in 2016 for violating the “primary purpose” rules that govern political nonprofits, has nothing to be ashamed of in filing this complaint. The question he raises is entirely valid and will remain so, even if the current Secretary of State isn’t the most egregious offender (see: Gessler, Gigi Dennis, Mike Coffman). The extent to which fines assessed for bad behavior in political campaigns are routinely written off, slashed, and otherwise marginalized in this state is something we suspect the voters wouldn’t appreciate if it was more broadly known. As for Matt Arnold, we get that he comes in for a lot of criticism from the political insiders on both sides whose lives he clutters up with legal filings. And like most watchdogs, not every case is going to turn out to be a big scandal. For the rest of us, though, Arnold helps keep Colorado politics interesting–and a little more transparent. 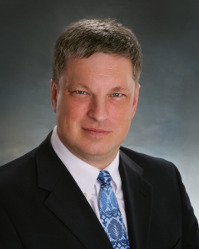 CBS4 has learned a Denver grand jury is investigating criminal complaints against Colorado Secretary of State Wayne Williams. The grand jury began meeting this month, hearing from witnesses and listening to evidence alleging “official misconduct” on the part of Williams and his office. First-degree official misconduct is a misdemeanor. Matt Arnold, a longtime conservative Republican activist and one-time candidate for the CU Board of Regents, deeply embarrassed high-level Republican operatives associated with two-time gubernatorial loser Bob Beauprez after he won a court ruling against Colorado Pioneer Action–an “independent” political group set up by Beauprez that targeted a number of right-wing Republicans in 2016 primaries. Arnold’s suit provoked an ethically dubious series of attacks from the Phil Anschutz-owned Colorado Springs Gazette on Arnold both by the editorial board and a reporter for the paper’s political blog–both of which had financial ties to Beauprez’s group. So no, Matt Arnold is not very popular at Republican insider cocktail parties. We can’t speak to the motivations behind all of Arnold’s mercurial actions, but in Pioneer Action’s case it would straightforwardly be in defense of the incumbent Republicans Beauprez targeted. Whatever was going on behind the scenes there, it’s not hard to understand why Arnold–like other conservative Republicans who support those candidates–did what he did. Arnold says a more serious problem being examined by the grand jury is Williams office using at least $25,000 in state money to legally intervene in at least half a dozen campaign finance cases. As you can imagine, Williams doesn’t agree! We want to wait to see what the grand jury investigating concludes before waxing definitive, but here’s what we’ll say in the meantime: the Secretary of State in Colorado, as a partisan elected official in charge of the elections process, may honestly be inherently conflicted in the way the duties of the office are carried out. Long before Wayne Williams, there was former Secretary of State Scott Gessler who offered to appear in a dunk tank to raise money to pay off Republican Party fines. You had Secretary of State Mike Coffman’s brush with scandal over a high-level aide caught peddling voter data to Republicans on the side. Gigi Dennis’ controversial attempts to throttle Democratic money in the last days before the 2006 election. The list of these conflict-y situations involving our Secretaries of State frankly goes on and on, and we could see a court somewhere along the line finding fundamental and systemic problems with the office’s duties and responsibilities. In that regard, Williams would not be unique from his predecessors–but if the accountability for a much larger problem comes down on Williams’ watch, he’d still be the one to take the fall. Either way, we have no intention of blowing this off the way Arnold’s critics have always insisted we do with every one of his many accountability campaigns. 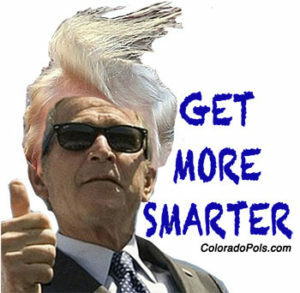 Because Bob Beauprez tried that, and Matt Arnold had the last laugh. Paid For By The NRA–But What About Paid TO The NRA? As bloggers who focus on Colorado politics, it shouldn’t be a surprise that we spent a fair amount of time running searches on the Colorado Secretary of State’s TRACER campaign finance disclosure website. Recently, with the National Rifle Association’s controlling influence in Republican politics under the spotlight, we’ve naturally looked at the NRA’s funding of candidates like we assume plenty of others have. But we also ran another search that turned up something interesting–what about payments made to the NRA? As you can see, there’s not very many of them. You can disregard the larger amounts which appear to be transfers from one NRA entity to another. That leaves a couple of very old payments from obscure figures, a payment from Sen. Randy Baumgardner back in 2008, and several payments from Colorado Secretary of State Wayne Williams. Before the controversy over the NRA’s role in American politics escalated after last week’s school shooting in Parkland, Florida, these expenditures most likely wouldn’t have attracted any attention. 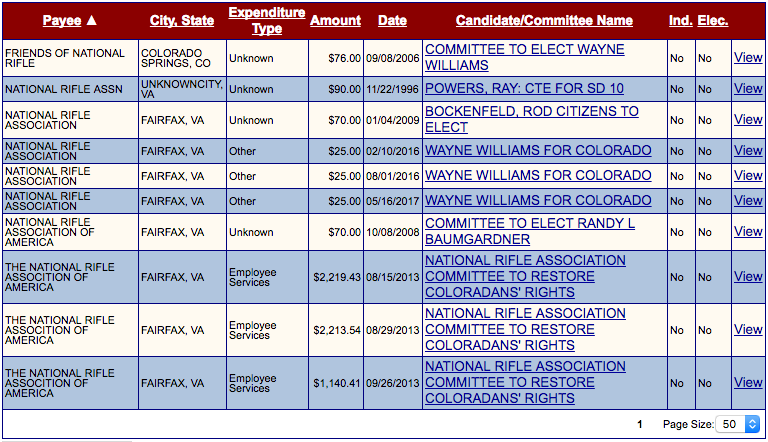 But now we’re obliged to ask the question: is Wayne Williams paying his NRA dues out of campaign funds? Even if that’s legal, we can’t say it looks good. Maybe if he had some company with other Republicans doing so, but it doesn’t appear so. It’s not like Williams, like any Republican with a pulse in the last three decades, would be worried about recouping his investment. Obviously, the NRA doles out more to Republican politicians than they expect to get back in dues and magazine subscriptions. Nobody’s suggesting the existence of a kickback scheme in $25 increments. It’s just weird, in a way that doesn’t look great below contemporary headlines. Colorado Secretary of State Wayne Williams’ press shop, which is headed by a former Denver Post reporter, runs a blog they use to promote all kinds of stories–some of which seem a little outside the SoS’s purview, but generally the reporter in question gets forgiven due to genial relations with both sides of the aisle. Tired of receiving all those election calls even after you’ve voted? The “I Already Voted” initiative in Aurora is set to change that. Founder Jon Haubert started the initiative for the benefit of both citizens and candidates to “reduce the number of unnecessary political advertisements at election time,” according to the “I Already Voted” website. It is designed to save campaigns from spending money on a voter who has already voted and saves the voter from receiving an overload of political ads. Once you have voted, you can head over to the IAV website and submit your name, address, and date of birth. I Already Voted will then notify candidates, campaigns and media to stop targeting those voters. Haubert assures users that the information they submit will be safe…. The first problem here is that Jonathan Haubert is very, very far from a nonpartisan good Samaritan looking to altruistically make the process better. Haubert, a registered Republican and policy advisor to the conservative Heartland Institute, was a top aide to former Rep. Richard Pombo, one of Congress’ most notorious hard-right, anti-environment Republicans–and was accused of wide-ranging corruption as chair of the House Natural Resources Committee. That experience served Haubert well when he came to Colorado to help launch Coloradans for Responsible Energy Development (CRED), this state’s most notorious pro-energy industry political advocacy group. And let’s be very clear about what Haubert’s goal is: reducing the volume of information distributed to voters about elections. “Opting out” of election information might sound attractive during the heat of election season, but it’s just not a good idea from any responsible civic perspective. Even if you’ve already personally voted, that information could be relevant to others you come into contact with. Perhaps more important depending on your own affiliations, the partisan operative running this program makes giving over any personal data inadvisable–unless you want to help the conservative political “industrial complex” improve their targeting of you for their own political ads, a side bonus to the primary goal of taking voters out of the information loop. In short, this is nothing the Secretary of State should ever be promoting with state resources. Word of a possible new Democratic entry into the 2018 Colorado Secretary of State’s race could spark new interest in a critically important but underappreciated statewide downballot office, one that Democrats have tried and failed to win for a number of years. 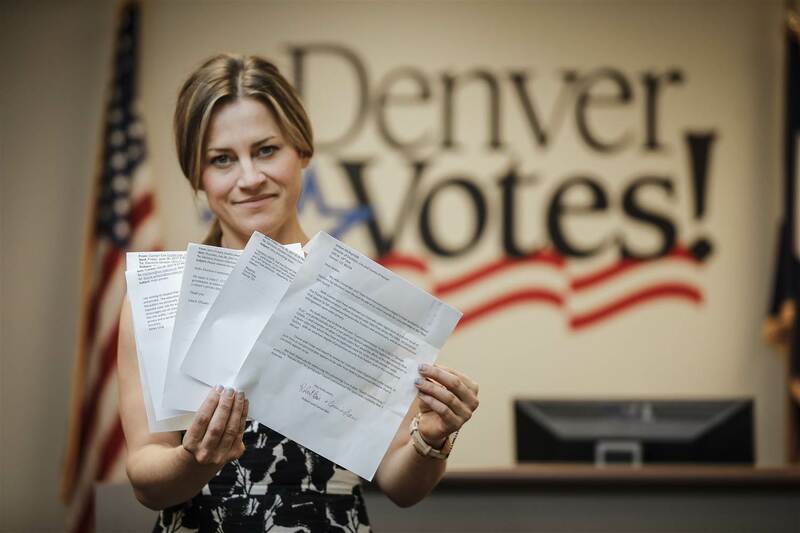 Amber McReynolds, the current Director of Election for the Denver County Clerk and Recorder’s office, is reportedly well down the path of discussions to determine if she should challenge incumbent Secretary of State Wayne Williams. McReynolds, who is currently unaffiliated but would likely register as a Democrat for this race, would represent a departure from previous candidates with mostly legislative or other political experience; an elections professional from the state’s foremost county clerk’s office–more in the mold of successful Republican candidates for Secretary of State like Donetta Davidson and…well, yes, incumbent Secretary of State Wayne Williams. There’s an argument that a challenger from a position of competency like another well-known elections official would represent a better challenger to Williams, who has prided himself on running as smooth and uncontroversial a ship as possible. That was of course made much more difficult by Williams’ very poor handling of the recent request from the Trump administration’s so-called Presidential Advisory Commission on Election Integrity, voicing support for an effort that even most Republican secretaries of state think is a waste of time and resources. Williams’ initially confusing statements about what data was bring provided resulted in thousands of Colorado voters un-registering in an act of misguided protest. Since then Williams has tried to walk back that gaffe while reaffirming the integrity of our state’s elections, but for lay political news consumers in Colorado the damage is arguably done. So yes, we’d say there is an opening here–to win an office that has bedeviled Democrats for longer than most of us have been doing politics in Colorado. And if she does get in, McReynolds could be just the candidate Democrats need to make the most of it. Backers of a measure that would limit housing growth in Colorado might be the first to test a new provision that requires anyone trying to amend Colorado’s constitution to collect a percentage of voter signatures from each of the state’s 35 Senate districts. The Colorado Secretary of State’s office this week approved the petition format for proposed Initiative 4, which allows its backers, Daniel Hayes of Golden and Julianne Page of Wheat Ridge, to begin collecting signatures to try to get the measure on the 2018 ballot. They have until Nov. 30 to collect 98,492 valid voter signatures, including at least 2 percent from each Senate district based on current voter registration figures. The provision requiring the collection of signatures in each Senate district was approved by voters in 2016 to make it more difficult to amend Colorado’s frequently amended Constitution. Amendment 71 or “Raise the Bar,” as it was called, is being challenged in court by Hayes, another individual and two health organizations. They claim it is unconstitutional on several fronts. Prior to Amendment 71, signatures were required to be collected from each of seven congressional districts. A controversy erupted last month over a request from the Trump administration’s so-called Presidential Advisory Commission on Election Integrity for voter records from Colorado Secretary of State Wayne Williams. Along with most other states, Williams refused to turn over data considered nonpublic, include the last four digits of voters’ social security numbers and their complete birth dates. Unlike most states, Williams made a public statement in response to the commission’s request that did not criticize the effort’s highly dubious basis for existence–a difference that resulted in Colorado being inaccurately listed in media reports as one of the few states “cooperating” with the commission. In response to widespread news reports about Williams providing data to the commission, some Colorado voters overreacted based on an incorrect understanding of what was happening. In truth all of the data being sent is already publicly available, and widely used by political organizations and candidates in their own campaigns. Despite this, several thousand Colorado voters took the drastic step of withdrawing their voter registrations entirely, with a smaller number opting to make their voter registrations confidential under a state law that allows this in cases where voters feel the information could pose a physical threat. It should be noted that un-registering does not remove a voter’s history from the permanent record, so this didn’t really accomplish anything other than to lodge a protest. Thirty-four hundred Colorado citizens just quickly and quietly dropped off the voting rolls. I know the reason why. Because President Trump is investigating voter fraud in Colorado (and every other state too). Where do you even start with this? Probably with the fact that un-registering wouldn’t prevent anyone who may have actually committed vote fraud from getting caught. These voters who un-registered weren’t trying to hide anything, because that’s not how the system works. They are angry about their information being part of a witch hunt, meant to perpetuate President Trump’s baseless allegations of voter fraud for the sole purpose of easing Trump’s upset over losing the popular vote by three million people. And yes, as we said before, it wasn’t the right response–not least because of how vote-fraud conspiracy theorists interpreted it (see above). Their interpretation is nonsense, of course, but you can see how the actions of Colorado voters made it possible. The best antidote to these allegations of fraud is the simple fact that the system works here. We can’t speak for every election system in every state, but in Colorado, despite continuous allegations made by Republican politicians and pundits, there is simply nothing to substantiate any of these claims. Our Republican Secretary of State, although he fumbled the first attempt to clear the air on this crucial point, will tell you so. And Williams has more fellow Republicans he needs to tell–like the readers of Townhall.com. Democrats have at least four candidates vying for Attorney General, and another four hoping to be the Party’s nominee for Congress in CD-6. Republicans have four or five candidates for State Treasurer now that Polly Lawrence has made her intentions known. Everybody and their mother is running for Governor. A Democratic candidate for the state’s top elections job is calling Donald Trump’s voter fraud panel “a sham commission” and blasting Secretary of State Wayne Williams for his “rash decision” to comply. “We need to call the commission what it is and be very careful about how we are dealing with the commission,” said Jena Griswold, a former voting rights attorney for the Obama campaign and member of Gov. John Hickenlooper’s administration. Griswold, a 32-year-old from Louisville, filed paperwork Wednesday to challenge the Republican incumbent in the 2018 election. 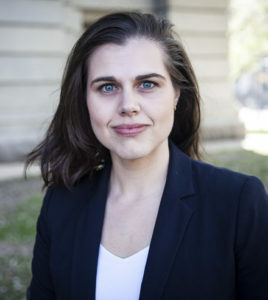 Griswold’s passion for elections law blossomed when she joined the 2012 Obama campaign’s team of voter protection attorneys. She later served as Hickenlooper’s Washington, D.C., liaison, working to help get federal emergency recovery dollars after the devastating 2013 floods. Now she works as outside counsel to a company she wouldn’t name [Pols emphasis] and works on public policy issues as part of her firm, Griswold Strategies. There are a lot of tough questions in politics. “Who do you work for?” is not one of them. A series of lawsuits are forcing the Trump White House to slam the breaks on a controversial request for voter data across the country. The Electronic Privacy Information Center has requested a temporary restraining order against the Trump administration. In response, the White House sent emails to election officials across the country asking for no data to be sent, including data that is publicly available. “It is a win that people have been pushing back on this because they understand what this is about,” says ACLU of Colorado Executive Director Nathan Woodliff-Stanley. It’s anybody’s guess whether these pending lawsuits will put a permanent end to this widely derided commission, but this pause should give folks a chance to catch their breath after a wild week of press that resulted in hundreds of Colorado voters withdrawing their voter registrations in a wrongheaded attempt to deny Trump’s commission their information. Now first of all, that doesn’t work–the fact that you were a registered voter, your publicly available data and voter history don’t go away just because you un-register. And secondly, more importantly, un-registering to vote is a monumentally stupid and counterproductive thing to do on general principles. Last week’s spate of un-registrations seems to have been a misinformed response to news reports about voters making their voter data confidential–or maybe they just decided not to bother with that more complicated process. Whatever the cause, the numbers involved raised considerable alarm with voting rights and GOTV groups. As we have said from the beginning, all the data in question here is already public, and the criticism of Williams is that he didn’t refute Trump’s unfounded claims of massive election fraud this time like he did last fall before Trump won the election. Nothing about this request or Williams’ response ever really justified even making one’s voter data confidential, let alone withdrawing one’s voter registration entirely. Because the voters affected by this situation are generally liberal Democrats opposed to Trump, these un-registrations could be considered a partisan victory for the GOP before the commission even gets underway–although for Williams’ reputation as a fair public official that would be an unfortunate development. We would hope that Williams takes advantage of the pause afforded by this restraining order and does something to persuade voters who withdrew to re-register. They should at least get a postcard that the witch hunt has been postponed indefinitely. As Denver7’s Blair Miller reports, anger at Republican Secretary of State Wayne Williams over his praise for a dubious “voter fraud” commission President Donald Trump has established to investigate his equally dubious claims of “millions” of fraudulent votes cast in last year’s elections has teamed up with anger’s friend misinformation–to produce an outcome in a small but growing number of cases that we don’t think anyone wants. Except for those who want liberal registered voters to voluntarily un-register to vote. At least two Colorado county clerks say they’ve seen a large increase in the number of people who have withdrawn their state voter registration since Colorado Secretary of State Wayne Williams said he would send the Trump administration’s election integrity commission some voter-roll information in accordance with state law. Alton Dillard, a spokesperson for the Denver Elections Division, said 180 people have withdrawn their registration in the county since July 3. When compared to the eight people who withdrew their registration from June 26-29, it marks a 2,150 percent increase, according to Dillard. Haley McKean, a spokeswoman with the Arapahoe County Clerk and Recorders Office said at least 160 people had withdrawn their registrations since July 1. She added that “dozens” of others had made their voter registration confidential. The Adams County Clerk’s Office said “about 30 to 40” people were withdrawing their registrations each day over the past week. The Douglas County Clerk’s Office says it hasn’t had anyone withdraw their registration, however. Let’s start with the most important fact: as we have said over and over since this controversy arose last week, the data that Williams is turning over to Kansas Secretary of State Kris Kobach’s commission is already publicly available to anyone who requests it. It has been available for many years in electronic form, updated regularly with data from the county clerks. This is data that is already in the hands of, in addition to state government, innumerable political and commercial organizations who have already digested it, augmented it, and rendered from it a detailed profile of your life, opinions, and economic decisions. By any reasonable analysis, there is absolutely nothing to be afraid of with regard to data that is not just public but highly ubiquitous. The problem, as we have attempted to be clear about from the beginning, is the lack of any criticism from Williams of the commission’s request or its rational basis for existence. This is important because Williams’ office commendably stood up to Trump’s campaign-trail warnings of impending fraud in last year’s elections, explaining over and over that there was absolutely no evidence in Colorado’s electoral history to justify Trump’s wild claims. Understand that this wasn’t just some altruistic move on Williams’ part; there was significant concern among Republican campaign operatives at this time that Trump’s vote fraud clamoring could suppress GOP turnout in the election. But it was still the right thing to do–and Williams’ failure to stand up to Kobach’s commission now that Trump is President, as so many other Secretaries of State in both parties did, invites criticism that Williams’ principles didn’t survive the election. With all of this in mind, this week we cited a Colorado Independent story that asked county clerks about a provision in state law that allows voters to make their file data confidential. Although this provision is specifically intended to help crime victims, police officers, and others who have a reasonable fear of physical violence or harassment to make their address somewhat more difficult to find in public records, the clerks told the Independent that they don’t verify the circumstances that applicants attest to. Literally within minutes of publishing that blog post, we began hearing from friends who work on campaigns, nonprofit advocacy groups, and others who use the voter file as a central component of their outreach planning. And they were, we’ll let your imagination paint the picture, very unhappy that presumably left-of-center voters were being encouraged to take themselves out of the loop in terms of voter outreach. We updated the story later in the day to reflect their well-founded concern. But it didn’t matter, that evening most TV news stations ran stories about how to make your voter data confidential because Williams is giving it to Trump, and the proverbial game of telephone took it from there. Bottom line: although Williams comes in for plenty of criticism for validating a commission denounced from both sides of the aisle as a “witch hunt,” making your voter data confidential without a good reason does more harm than good any way you look at it–in addition to being potentially perjurious. And obviously, obviously, voluntarily un-registering to vote, simply because Williams is giving over information everybody already has, is asinine in the extreme. Please tell everyone you know to not do either one, even if they look at you like you’re stupid. You never know when they’ll get the chain email or see the Facebook fake news. Self-suppressing your vote is not now and will never be the answer to vote suppression. If we were at any point unclear about this fundamental principle, we apologize.